Council also approved qualification system for next Olympic Sailing event. PUERTO VALLARTA, Mexico — The next Summer Games is more than 950 days away but competing sailors are on notice of what to expect in several racing categories, as World Sailing officials announced the sailing format for 2020’s Olympics in Tokyo, Japan. Sailing events at the Tokyo Games are: 470 (men and women, two-person dinghy); 49er (skiff men, FX women); Finn (one-person dinghy, men); Elliott 6M (one-person dinghy, women); Laser (one-person dinghy, men); Laser Radial (one-person dinghy, women); RS:X Windsurfer (men and women); Star (keelboat, men); 20T+ (mixed); and, Nacra 17 (mixed). Four events – men’s and women’s 470, Finn, Laser and Laser Radial – will sail an opening series, followed by a double point “Medal Race,” according to a roundup of the World Sailing’s annual conference in Puerto Vallarta. Those sailing in the men’s and women’s RS:X event will also follow an opening series and double point Medal Race format, though wind conditions could alter the start and finish. Decisions were also made on two 49er events. “World Sailing’s Council had a discussion and debate on the 49er and 49erFX Medal Race format. The Events Committee proposed that three single-point races on the final day shall be sailed with the use of boundaries at the discretion of the Race Committee,” the conference roundup stated. “Council voted against the proposal and the 49er and 49erFX fleets will now sail an opening series and a single double points Medal Race,” the roundup continued. The Nacra 17 format, despite not yet being fully tested, will maintain an opening series and single double points Medal Race, it was also announced at the World Sailing conference. The Aarhus 2018 Sailing World Championships will serve as Tokyo 2020’s principal qualification event, according to World Sailing. The International Olympic Committee will review all qualification systems in February 2018. Also to be decided in the near future: the field of play; venue development; and, equipment procurement. 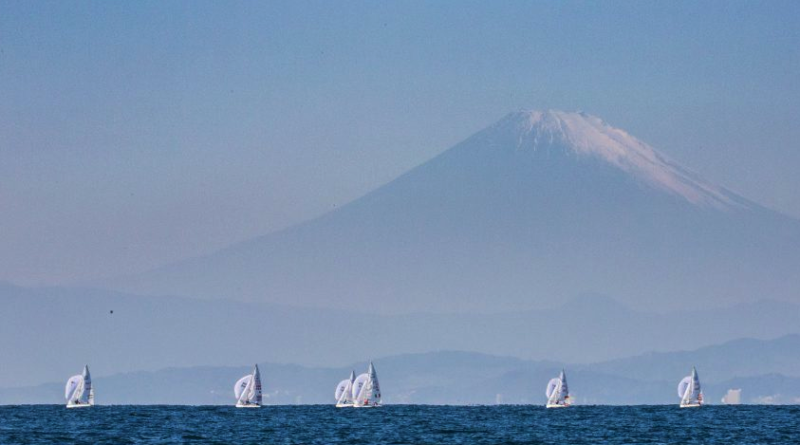 Sailors will be able to use the 2018 World Cup Series Japan in Enoshima as a test event; the test event for 2019 has not yet been decided. Preparations for sailing events at the 2024 Games in Paris and 2028 Games in Los Angeles are already underway, according to World Sailing. World Sailing’s next meeting will be held May 12-15, 2018, in London, followed by the annual conference at Orlando, Florida, Oct. 27-Nov. 4, 2018. The International Olympic Committee, earlier this year, proposed 10 sailing events for Tokyo 2020. Committee members also reduced the athlete quota for sailing event to 350 (down from 380). Caleb Paine was the only member of the U.S. contingency to bring home a sailing medal; the San Diego area native won bronze in the Finn – One-Person Dinghy (Heavyweight, men), behind Giles Scott (Great Britain) and Vasilij Bogar (Slovenia).